The InnerTuba all Iowa tour will be a cycling and musical challenge. 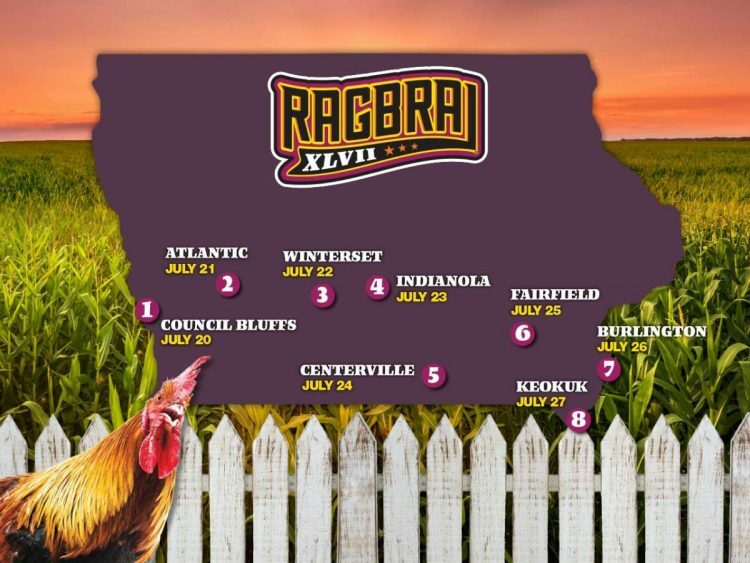 Days on the trike will be long, performances frequent, miles covered high, and the summer heat will be, well, hot … A highlight of my visit will be riding all 427 miles of Ragbrai, beginning 21st July. It’s a huge event ! I believe the InnerTuba tour will attract widespread interest, which can in turn be harnessed to raise money for a good cause operating in Iowa. Fundraising is intended not only as a “thank you” to Iowans for their generous welcome of me, but also it will be a significant development of the InnerTuba project, which has been an ongoing memorial Tribute since 2012. With this tribute strongly in mind, I propose that money raised be used to better the lives of Iowan children and young people with special needs. I’m currently approaching charities actively engaged in state wide projects which share that remit. I hope to announce a charity partner soon – watch this space !